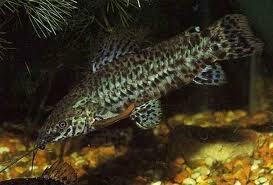 There is a fantastic array of exotic freshwater tropical fish species for the budding hobbyist. Here are a few of the more exotic tropical fish species that get along swimmingly in a large community tank. Diet: Besides beef-heart, Black Ghost Knife Fish will accept frozen bloodworms, shrimp pellets, brine shrimp and tubifex worms. Special characteristics: After the Black Ghost Knife is accustomed to its tank, it can develop a strong relationship with its owner. 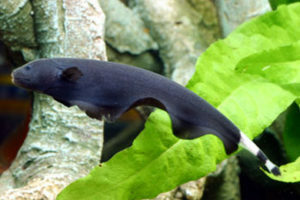 Owners are known to hand-feed their Black Ghost Knife fish beef-heart. Additionally, owners are able to pet and stroke the fish and it will actually run through its owner’s hands. The Black Ghost Knife is known for its flowing movement and unique body shape. They are similar to a rippling black curtain as they swim through an aquarium. Due to having poor eyesight, the Ghost Knife species have developed electrical organs that allow them to send out electric pulses to navigate through water. Hobbyists should avoid placing other fish species that use similar electric navigation in the same tank as their electrical pulses may interfere with each other. Temperament: Very peaceful fish but can be quite shy and skittish. Diet: Omnivorous. Especially like live food but will accept most foods. Gender: Males have darker stripes and are more slender than females. Breeding: Breeding in a home aquarium has never been accomplished. The Black Pangasius is a very mobile little creature that will actively swim up and down the length of an aquarium. They can however be quite nervous fish and are easily spooked. It is recommended that the Black Pangasius be kept with more of its own species to relieve stress. Also be warned that this fish can grow VERY large and either needs to be kept in a very large tank or released when it grows too big for your rig. Breeding: They are egg-laying fish, but so far breeding them in captivity has not been successfully recorded. 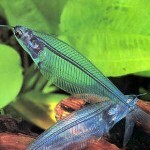 You should keep at least four Glass Catfish together in your aquarium and preferably a few more. This is a shoaling fish that does not survive in a tank without other members of its own species. A solitary Glass Catfish can actually die of loneliness. You should provide plenty of plants in your aquarium for these fish so that they feel safe. They are very shy and will fare much better if they have plenty of hiding places. Temperament: Very peaceful towards fish of similar size. Diet: Prefer live foods but will eat flakes, frozen foods, bloodworms and brine shrimp. Gender: Males have noticeably largely and more impressive fins than females. Breeding: Siamese fighting fish are bubblenesters and breeding them is not difficult. There is a bit of a misconception around Siamese Fighting fish. They do not swim around attacking everything in sight – it is only the males that spar with one another and that should not be kept in the same tank. 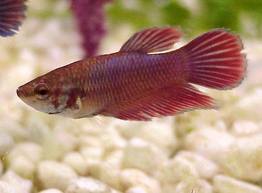 Female bettas are wonderfully peaceful and independent fish despite being a bit on the shy side. Provide her with a secure hiding place and she will often pop her head out and swim up to you. Most female bettas are quite plain looking in comparison to males but there are a few rare gems that are just as beautiful. Tank Region: Mostly bottom dwellers. Origin/Habitat: Brazil and Amazon river basins. Temperament: Very peaceful and a good scavenger. Gender: Mature males have thicker pectoral fins than females. Diet: Shrimp Pellets, Tubifex worms, and other sinking foods but will also swim to the surface and feed on flakes. Breeding: When breeding the male displays a blue/purple sheen under it’s belly. The fish build a bubble nest using leaves and twigs. The Hoplo Catfish is a great addition to a community tank. They are easy to care for and unfussy about water conditions, tank mates and food types. The do not harm other fish and their reasonable size and armour plating protects them from the occasional nip. They are also good at keeping your substrate clean and are active and characterful creatures. They also like to explore all the nooks and crannies in an aquarium and do not shy away as much as other catfish species. The Fire Eel is a nocturnal predator best suited to a large aquarium. A soft substrate is necessary for this fish as they love to burrow. This may uproot plants and rearrange decorations so it is often best to provide a dark cave for your Fire Eel to discourage digging. At first, a Fire Eel is usually very shy and prefers to come out only at night. If you provide your Fire Eel with an aquarium setup that makes it feel safe, it can become quite an affectionate fish and learn to take food from your hand. 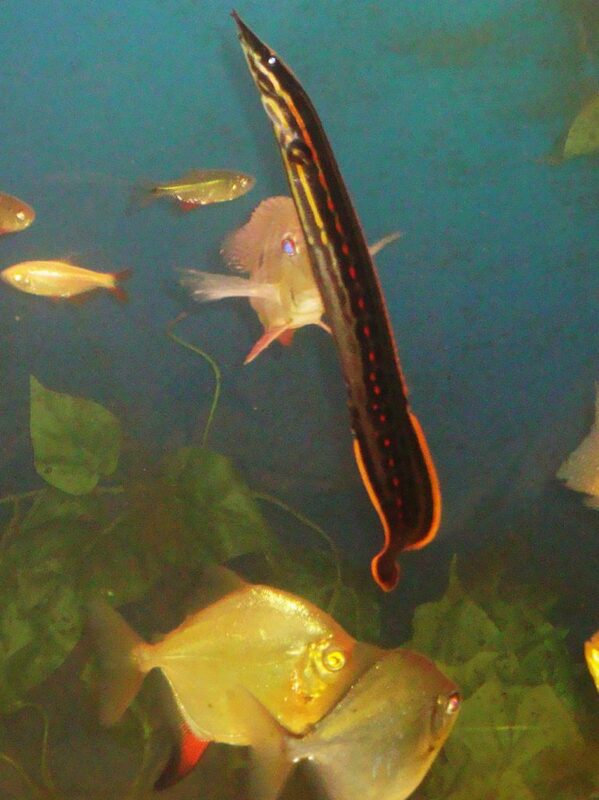 A tight lid should be used for any long, slender fish as they will often try to escape from the aquarium. The Fire Eel should be kept with fish of similar size or larger and will not tolerate its own kind. Be warned that if you add any new small fish to your tank it will happily devour the newcomers.